Deployment Debrief: TiGr2 waves complete, TiGr5 units in motion | Redux & Co.
A few days ago, I met a COURGcrew member who also owns a fleet of military watches such as Damasko, Sinn, Tutima, and others. His COURG is in stellar company, but what really struck me is that his mission includes running one of the most respected homeless shelter networks in New York City. I asked him what his definition of success is, and thought he’d say something about providing the best shelters for homeless people. Instead, this man said his goal is to help people heal and become productive. And he’s been at it for decades. Can’t wait to hear about the missions you’re on. We’ve now deployed all theTiGr2 units and dispatched tracking intel via email. If you ONLY orderedTiGr2 unit(s), then you should have received shipping confirmation from crew@reduxwatch.com. Some COURGcrew says spam filters/folders trapped the email — please check. If it’s still lost in the interwebs, please let us know. If you ordered BOTH TiGr2 and TiGr5, your order will hold until all components arrive and will then ship. “The Caveman” R. Schroter, reports in from Japan. BTW, he’s an MMA fighter and a gentleman. Respect. 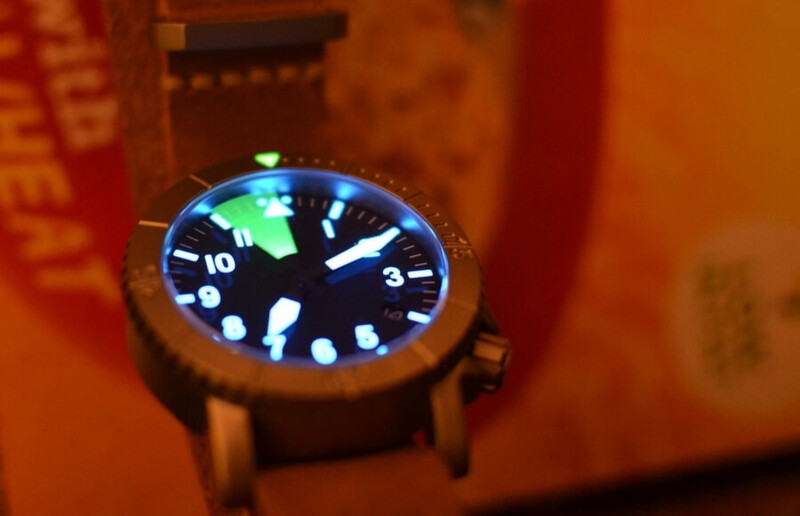 Mike M. with a glorious time-lapse of the RDXb1 lume in action. One of my favorites so far. So good to see Type-Bs and Minimalists in the mix. TiGr5 units began to arrive at the assembly center on the 10th, on schedule. As of today, ground operations has pressure-tested some 200 units without a single failure and have released these to the fulfillment team. We will dispatch tracking intel from crew@reduxwatch.com. Some of the TiGr2 crew reported that their spam filters trapped these emails, so keep an eye out in a few days. With the lunar new year festivities grounding deployment operations for 3 weeks, we’re pushing hard to deploy the last wave before the shutdown. However, we’d rather err on ensuring quality than rushing units out the door. So, there’s a possibility that the last wave will not depart until the second week of February — and perhaps it’s not much of a consolation, but my own COURG won’t ship until the last wave is out. Leave no man behind and all that. So, I understand that we’re getting antsy. There’s been a couple of questions about the color of the titanium being more silver and somewhat shiny than expected. In short, the color will morph darker and more gray-blue over time as you wear and take the COURG out into the field. <nerds> One thing I noticed during our inspection of the factories is that all the workers fastidiously wore cotton gloves when handling everything, and in particular when they handled the cases. I thought that was just part of their process, but that attention to detail, plus the packets of desiccant our fulfillment team deployed with the COURG ensures that you’ll get to witness the titanium develop its very own protective oxide film. And I hadn’t realized this before, but over these few months, I’ve noticed on the prototypes this interesting trait of titanium. So, depending on how much you wear the COURG and perhaps even how much you touch the metal determines how much oxidation develops on the surface of the material. It’s this oxidation that creates the matte gray-blue color. One thing I wish I had done is take periodic photos to document the oxidation. I assume that at some point the oxidation process stops. I’m curious if different patinas will develop if someone swims, surfs, or dives in the ocean regularly with the COURG. This might be one experiment I’ll want to undertake personally! Then of course, the converse, for our COURGcrew military personnel deployed to Kuwait and desert regions, I wonder if the oxidation will form more slowly. As you likely know, titanium is extremely corrosion resistant. From my limited understanding of titanium composition, the oxidation forms a protective layer. So, if there are scratches, it’s often just the oxide layer and not the base material. This means that you can also buff out scratches if you’re so inclined, and a new layer of oxidation will form over it. We’re not sure why, but ISC (International Service Center) and customs have put some packages in a longer holding pattern than others. From the first waves, I’ve heard anywhere from 2 days to 10 days. Unfortunately, this is beyond our control. There have been a lot of requests for advice about how to trim the ballistic nylon and how exactly to wear the mil-strap among others. So, we’re going to crank out some quick video tutorials to help explain some of the more common questions. Stay tuned! I know it’s tempting to try to open the case back, but we highly recommend against busting it open. The main thing is that this voids the service warranty because our technicians need to isolate the trouble on a movement that has not been tampered with. Of course, there may be some of you who know how to regulate and/or overhaul movements — but you’re a minority and I’m confident you understand you take the health of the movement into your own hands. The assembly team carefully inspected and ran multiple position tests on movement. There is some expected variability in the accuracy of automatic movements. Seiko’s NH35A spec is -20 ~ +40 seconds per day (23º± 2ºC). If your unit is much beyond that, it’s possible there was some sort of shock along the way. Please let us know if that’s the case. Automatic movements will also have a period of settling in, where the oil that lubricates the gears and such distribute. That said, many COURGcrew have timed their movements and found theirs to be much more accurate than the spec. We’ve heard from some TIGr2 backers that the feel of the bezel mechanism seems “gritty.” We believe this has to do with the sand blasted matte finish and nature of titanium being much more difficult to machine. We worked really hard to make the mechanism as solid as possible and pushed our manufacturers on this. We expect that with use, the mechanism will smooth out more — so spin it at will and let us know. That said, this is an important trait of the COURG to me and I’ll be working to refine and upgrade our uni-directional bezel mechanism once the time comes to consider a second run or the 42mm project. Next time (if there is one), I’ll be opening up the floor for discussion and votes on whether you all value the uni-directional rotation, or if bi-directional is preferred. Currently, we have Seiko-certified service centers in New York City and in Hong Kong. Optimally, I’d like to have a center in Europe, but I’ve no ground crew there, so if you have any recommendations please holla. Contact us if there’s a problem with your unit so we can discuss. I’m working to select our infrastructure for the next phase of Redux. As you all know, I’m still working full-time. That means I need to learn how best to take care of the urgent while paying attention to how best to build a foundation for what’s important. Seth Godin, summed up my dilemma eloquently. My belief is that most of you joined the COURG journey because you want to see gear that’s built for the long haul. Maybe some just joined for the insane price point. Only time will tell if that was a wise decision on my part. I want to pay special attention to each member of the COURGcrew, and I’m doing my best to hear everyone. At the same time I need to implement customer service systems to centralize these channels so I can track and focus on your messages, which are scattered all over the place right now. I apologize if you feel unheard. Over the next week, I plan to select an e-commerce solution that will enable me to integrate these efforts. I was originally going with Squarespace, but when I found that they have very limited integrations for customer service, that was a deal breaker. I’m leaning towards Shopify now with Zendesk or intercom.io. If any of you have leads for someone who is smart in this e-commerce space, I’d be deeply appreciative of any connections so I can build out more effectively. Thank you for joining me in the trenches as I see whether we’ve got something here we can build on together. They do not own/operate their own manufacturing facilities. When our agents finally gained access to their facility, the assembly room was in the same open area as where cases were machined. NOT dust-free like it should be. When we sent the sample for evaluation, the materials they had claimed as titanium and sapphire turned out to be fake. In the end, when it was clear that we could not trust them with production of thousands of watches for our COURG backers, we asked them to return the molds. We paid for these molds, and own them, and have a right to reclaim. They refused and ceased communications. I have my emails tracked so whenever recipients open them, I’m notified. Roughly a month ago or so, I noticed this company repeatedly opened my emails again suddenly. I wrote it off, but felt that was a bad omen. I suspected they might pull some slim shady action, but since it was out of my control I let it go. There really is no recourse at this point. If the huge mega brands can’t control this type of fraud, we certainly cannot either. I assumed that fakes would appear, but had no idea it would be so soon. I’m not worried about copycats and fakes. We’re focused on building the best watches and products we can. The most offensive part of this is that they ripped off our marketing material straight off our assets, and used our photography. There are many details in the watch dials, cases, bezel, and lume that we had further refined since dropping them. Our backers joined the adventure to help create an original, and we have. The fact that an unscrupulous company now lurks in our shadow only goes to prove that where there’s something special, others will follow. Thank you for your loyalty, for your trust, and for believing in us. You’ve humbled me with your kind and gracious support, and motivate me to improve and refine our work. Thanks again for giving the COURG a chance to fly. 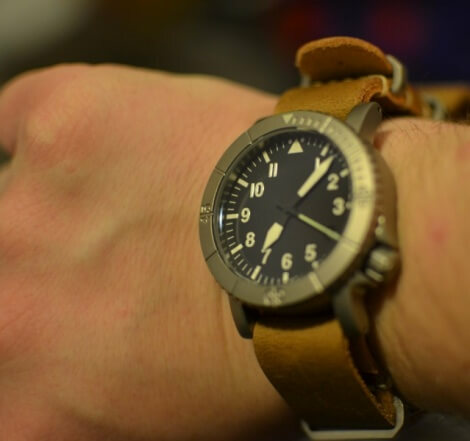 This entry was posted by pilot in News and tagged Alibaba, backers, ballistic nylon, COURG, COURGcrew, horween, kickstarter, lume, maintenance, seth godin, titanium, titanium grade 5.